I have a few resources to pass along for Cycle 2, Week 1. I post these with fear and trepidation. I’ve come full circle in how we’re approaching our 2nd year of Classical Conversations. We’re doing less “match ups” for each CC week and focusing our efforts on memorizing the Grammar, since my 6 and 8 year olds are in the Grammar stage. 🙂 I’m writing a “Lessons Learned” post, which is quickly turning into a “series” of posts because I guess I had more to say than I realized when I sat down to write. I’m hoping to have those posts ready in the next week or so. All of that to say…here are a few of our favorites from week 1. You can download the Continents and Oceans Song for $0.99, or you can download the whole MP3 album containing 33 songs for $8.99 (which is a GREAT deal!) There is also an Audio CD and accompanying coloring book if you’d rather go that route. We have the audio CD and have about worn our van’s CD player out listening to this. 🙂 This would be a great birthday or Christmas gift for your kiddos. 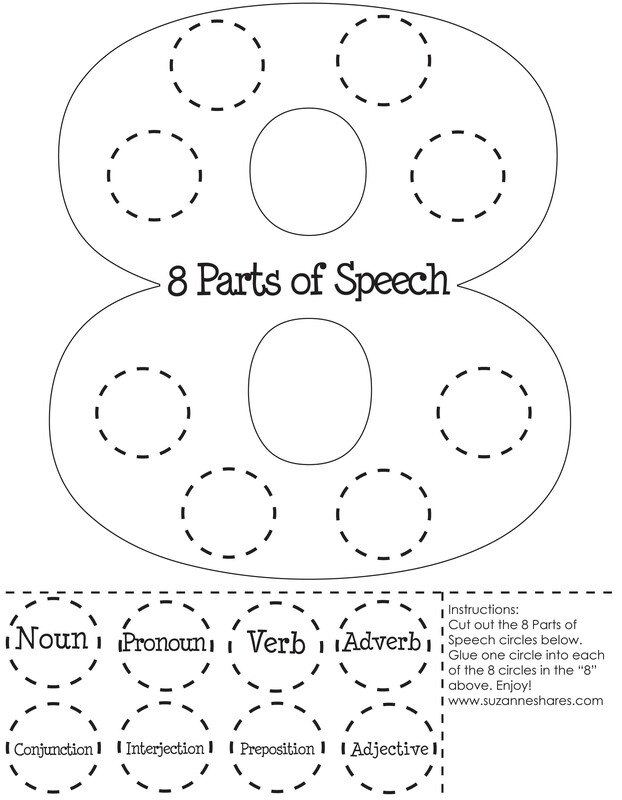 Also, while you’re rockin’ out singing the “8 Parts of Speech” song, have more fun with the 8 parts of speech through Mad Libs! Don’t you remember Jr. High/Middle School days and Mad Libs?!?!? Well, what a fun way to review, practice, master and laugh your guts out about the 8 parts of speech. My sons ordered Mad Libs this summer, and I love when they ask me, “Mom, can you help me think of an adverb?” They’re learning and don’t even realize it. Love, love, love! There are a million different Mad Libs options including Happily Ever Mad Libs for the princess in your life, Star Wars Mad Libs for the boys in your life, and Mad Libs Junior for the younger kiddos in your life. Order some Mad Libs gather ’round the table or couch after dinner and laugh, laugh, laugh together! Hope that your Cycle 2 year is off to a great start! 🙂 This post is a part of the Cycle 2, Week 1 Link Up over at Half a Hundred Acre Wood. Go there to find other great Cycle 2 resources! Your resources are always such a timely blessing to me! Thank you for your generosity! so glad to hear they’re helpful, Kristen! I hope your new CC year is going well!! !